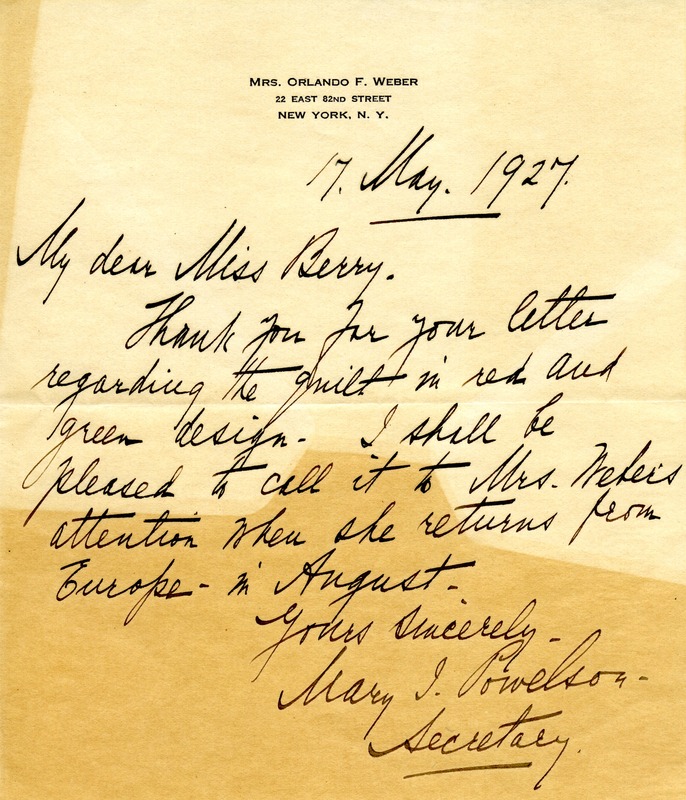 Mary Powelson, secretary to Clare H. Weber, writes to thank Berry for her letter about the quilt. Mary Powelson, “Letter to Martha Berry from Mary Powelson.” Martha Berry Digital Archive. Eds. Schlitz, Stephanie A., Sherre Harrington, Aaron Jackson, et al. Mount Berry: Berry College, 2012. accessed April 25, 2019, https://mbda.berry.edu/items/show/5963.